On my first year of promising myself that I’d fast throughout Ramadan at the age of nine, knowing the existence of my favorite cookies lying just a few feet away wasn’t helping at all. I had only half an hour left to break my fast, but dreaming about how the cookies come apart and melt in my mouth was just unbearable, so I cheated. When my parents got home right before iftar, although it was a lie, I was excited to tell them that I had fasted all day like a big girl. For some reason, my mom couldn’t stop laughing when I gave her the big news; she leaned down, gave me a kiss, then swiped her finger around the corner of my lips and touched the tip of my nose with a kind smile on her face. I crossed my eyes to see what is was, and what I saw made me blush right after: cookie frosting. If you ever ask a Muslim what their favorite time of the year is, they will probably say it’s Ramadan. Although it sounds bad to not even be able to drink water from sun up to sun down, Ramadan is not just about restraining yourself from foods and drinks. Ramadan is the month when the holy book of Islam, Quran, was first revealed to Prophet Muhammad; it is believed that the gates of heaven are wide open and sins are forgiven during this month. “It is a month of moderation, abstinence and just trying to be a good person really. It’s like the reset button in your life,” sophomore Jibreel Bailey said. The fast is intended to bring the faithful closer to God and to remind them of the suffering of those who are less fortunate. Muslims often donate to charities and feed as many people possible in their power. Ramadan is a time to detach from worldly pleasures and focus on inner-self; it is seen as a way to spiritually and physically purify, refraining from bad habits and deeds such as smoking, gossipping, lying, cursing, wishing others harm and so on. Fasting is one of the five pillars of Islam along with five daily prayers, charity and performing the hajj pilgrimage in Mecca. “Fasting can sometimes be difficult; it is hard to miss out on lunch with friends and wake up for suhoor. Although fasting is lengthy and tiresome, it all pays off because we Muslims believe that God will multiply our blessings, and there is amazing food,” Bailey said. A traditional day of Ramadan usually starts with someone walking around the streets, playing a huge drum and loudly reading slang poems about the benefits of Ramadan to wake people up for the nightly feast, suhoor. It may sound like a simple thing, but it is the one of the biggest excitements for children during Ramadan to wake up, watch and wave at the person playing the drum. During day time, eating or drinking in any sort is restricted till the dinner to break the fast, iftar, when the sun goes down. The fast is usually opened by eating a date or drinking water. After iftar, Muslims are allowed to eat and drink till the next sunrise. There is also an optional prayer at the mosque at the end of every day throughout the month, taraweeh, for the ones who wish to pray. Of course, not everybody is advised to fast during Ramadan; there are exceptions for children, the elderly, the ones who are ill, women who are pregnant, nursing or menstruating, and people traveling, which can includes athletes as well. 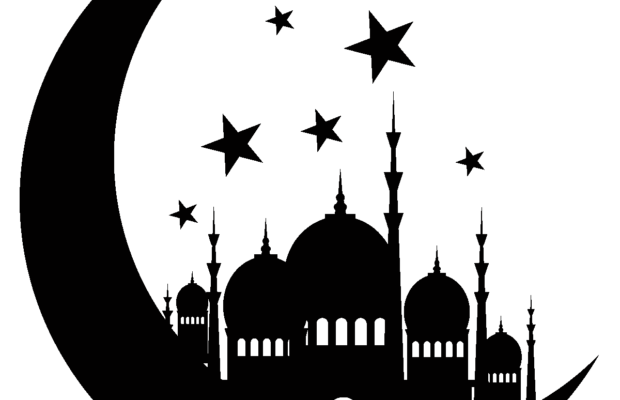 Fasting is observed in nearly all religions, such as Lent in Christianity, Yom Kippur in Judaism, Dhutanga practice in Buddhism and many more including, Hinduism, and the Baha’i. This year millions of Muslims around the world will mark the start of Ramadan on May 15 and end on June 15. After 30 days of fasting, Muslims will end Ramadan with one of the two religious holidays: Eid al-Fitr. Holiday of Charity. During this holiday, Muslims usually visit their elders and a big breakfast happens. Afterward, children start getting gifts, candy and money. What are your Spring Break plans?